Like most of the spices, Black Pepper also helps in losing weight. 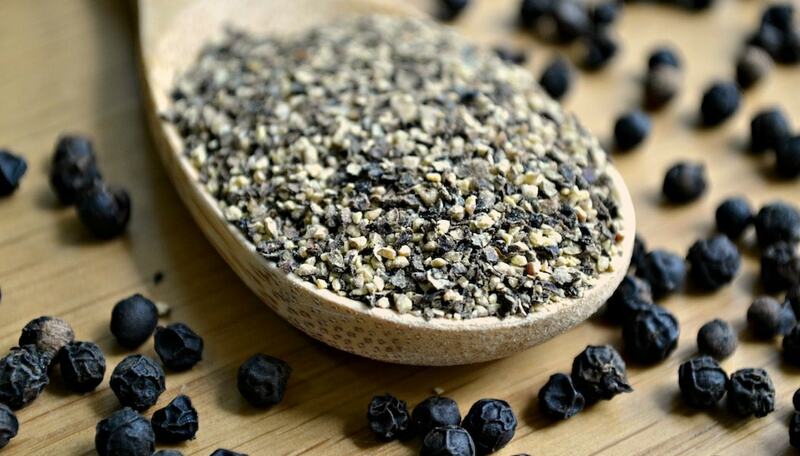 This blog will help you in understanding the benefits of Black Pepper to lose weight. Black pepper or kali Mirch, till now, has only been a basic seasoning for your food. But ever wondered if this spice gives you any health benefit or not? Well, turns out that this little spice acts as a catalyst to your weight loss process. Most people just consume black pepper without acknowledging the fact that its properties are helping you in shedding those extra kilos. Kali Mirch helps your body to absorb all the nutrients from food and a potent nutrient in the shell speeds up the breakdown of fat cells. For weight loss, you can add a few black peppercorns to two betel leaves and chew it once a day. This acts works as a powerful weight loss tool. You can also have black pepper directly but you should be able to take the heat of the spice for this trick. Take a glass of lukewarm water and add lemon juice to it, half a lemon would do. Add a spoonful of honey to it and a spoonful of freshly ground black peppercorns to it. Drink it on an empty stomach for results. From a medical store, buy 100% pure black pepper oil and add one drop of it to a glass of water. Drink this before having breakfast. You can also apply this oil on your skin to treat infections. The best way to use black pepper for weight loss is consuming it in the form of tea. You can use ginger, tulsi, cinnamon, green tea bag and of course black pepper to prepare the tea. This should be taken before breakfast to see the best results. Take half a cup of watermelon juice and pineapple juice and combine them in a blender. Now add one teaspoon of lemon juice to it and half a teaspoon of freshly ground black pepper with a pinch of salt. Take this drink every morning to see results. If you have any questions on how Black Pepper may help in losing weight or any other food item please get in touch with me.